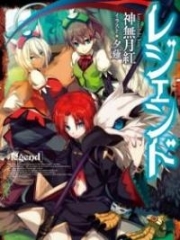 You’re reading novel The Demonic King Chases His Wife: The Rebellious Good-for-Nothing Miss Chapter 211 online at LightNovelFree.com. Please use the follow button to get notification about the latest chapter next time when you visit LightNovelFree.com. Use F11 button to read novel in full-screen(PC only). Drop by anytime you want to read free – fast – latest novel. It’s great if you could leave a comment, share your opinion about the new chapters, new novel with others on the internet. We’ll do our best to bring you the finest, latest novel everyday. Enjoy! Ultimately, he didn’t say anything, slumping with his hand hanging down. In fact, his hands were truly black. Su Luo was too lazy to bother dealing with this kind of nasty person. After the facts were revealed, was the moment when he would really get slapped in the face. Liu Qi concentrated his thoughts, and from the side, made two separate cuts. What made people disappointed was that after the cuts, it still only had the same greyish-white color. Not a trace of any other color could be seen. “If he could cut out a crystal stone, what are you going to do?” Su Luo cast a sidelong glance at him. Regarding this kind of nasty character that would run over to other people’s family door to compete for business, she had always disliked. She was unlikely to go and deliberately deal with this kind of person, but if this person doggedly ran into her, then don’t blame her for being rude. Su Luo followed along Hou San’s gaze and looked. His finger pointed at a source stone that was about the size of a basin used for was.h.i.+ng faces. To swallow this piece of source stone? Don’t a.s.sume that just because Su Luo, without much action, had easily happened upon gold coins when needed, that she would feel that gold coins had little value. In fact, with regards to ordinary citizens, the value of gold coins were still very high. Many ordinary citizens wouldn’t have a single gold coin in their hands, what they always used were either silver or copper coins. “Good! I, Hou San, take this bet with you! 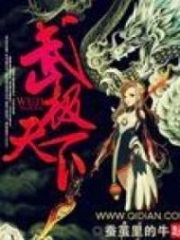 Everyone present will act as witnesses!” Hou San was so delighted that it went to his head. Liu Qi, that shop, had for exactly one year been unable to cut out a crystal stone from a source stone. How could he be so fortunate this time that he would cut one out today? Moreover just a moment ago, he had already made three cuts, and not a fart could be seen. No matter how you looked at it, he couldn’t possibly cut out a crystal stone. One hundred gold coins, ahhh, as long as he agreed then he would get a full one hundred gold coins. It was enough for him to spend extravagantly for quite a while. Only if he was a fool would he refuse such a good business. “If only it was possible.” Liu Qi forced a smile, but his heart didn’t really believe it. For lack of a better option, he made the final cut. After making so many cuts and still nothing, there was no need for hope and expectation in this final cut. Liu Qi put down his cutting knife and was just about to apologize to Su Luo. But unexpectedly, when he lifted his head, he saw that the surrounding people without exception had all released a mouthful of cold air in amazement. 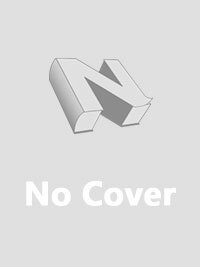 You're reading novel The Demonic King Chases His Wife: The Rebellious Good-for-Nothing Miss Chapter 211 online at LightNovelFree.com. You can use the follow function to bookmark your favorite novel ( Only for registered users ). If you find any errors ( broken links, can't load photos, etc.. ), Please let us know so we can fix it as soon as possible. And when you start a conversation or debate about a certain topic with other people, please do not offend them just because you don't like their opinions. You're reading The Demonic King Chases His Wife: The Rebellious Good-for-Nothing Miss Chapter 211. This novel has been translated by Updating. Author: Su Xiao Nuan,苏小暖 already has 13902 views. Current Time is Apr-21-2019 02:20:37 AM.